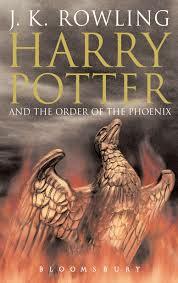 Like The Goblet of Fire, Harry Potter and The Order of the Phoenix is gigantic. It’s also deeply troubled, a novel of so many things going wrong. It’s a novel in which fantasies about the struggle for the universe taking place in your school – the stuff of so many films – begin to come true, where classrooms and corridors become a battlefield. The infiltration of evil has of course begun in the Ministry of Magic, in the person of the thoroughly horrible Dolores Umbridge (another good name; ‘Dolores’ has connotations of misery). She was present at Harry’s trial for performing magic in the holidays, she admitted that she sent the Dementors to attack him, she tortures students for pleasure with her lines-writing pen, she performed the Cruciatus Curse on Neville – I really don’t understand why she wasn’t arrested for that – and she is a trivial meddler and power-grabbing nonentity, a malicious and vicious little person, and a bigot to boot. It’s hard to think of any character deficiency or moral failing that Umbridge has not got. We are not supposed to like her one little bit, so she is a cartoon monster representing injustice, a monstrous failure inside the Ministry of Magic, a symbol of the rot that is sitting there at its heart. It’s a little unfortunate that she also represents schools inspection, a perfectly reasonable and necessary process that all schools need to make sure they’re doing their job and teaching what the children need. Deciding what education needs is one thing, inspecting and observing is another: they ought not to be combined, so Umbridge is an example of power gone mad in this respect. Another thing that isn’t going well is Dumbledore’s total failure to communicate to Harry. 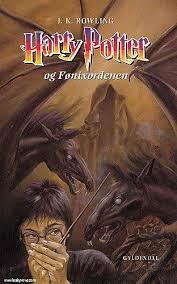 He tells all at the end of the novel, and at the end of the series, so we will know why in time, but I think this novel has the highest number of episodes in which Harry needs to know something crucial, but he isn’t told or can’t find out (or doesn’t ask), and so something bad happens. The worst thing of all is Sirius dying, but also pretty bad are seeing Sirius’s pent-up energies going bad in dangerous recklessness. Harry not knowing Kreacher’s unspoken orders and information is frustrating. Harry not knowing that Snape is doing what he’s doing is because he is supporting Dumbledore, as well as because of his deeply hidden backstory, makes a huge difference to how Harry’s loathing of Snape causes him to make dangerous assumptions. It’s all very dark. The novel begins with an overload of terror, injustice, attempted murder and total incomprehension. 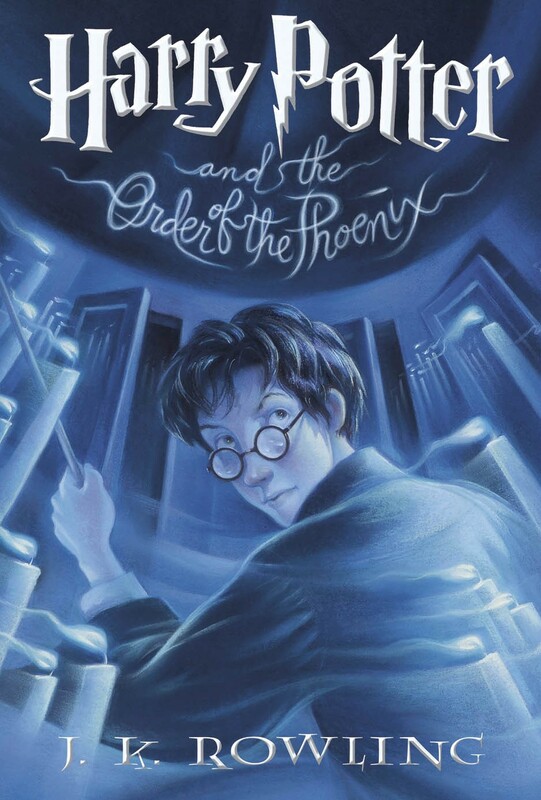 One of the early bright spots is the night-time flight with Harry’s protectors in the Order of the Phoenix, an escape from the Dursleys to a rather grubby and noisy sanctuary, but one so full of weird magic that we haven’t encountered yet that it’s like a second whole new world. I can understand why Harry spends a lot of time shouting at people for not letting him know what is going on, but you’d think he could be interested in the here and now of Grimmauld Place rather than erupting with ego and hormones. 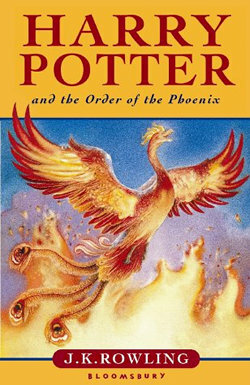 This novel’s Harry is not my favourite Harry: he’s too aggressive (with good reason), too impatient, doesn’t take care of the details, and makes too many mistakes. Another bright spot is Aunt Petunia admitting that she knows more about the magical world than she has ever admitted, so that finally Harry is not totally misunderstood in Little Whinging, just totally resented. In The Deathly Hallows, the last book in the series, we find out that Petunia actually applied to go to Hogwarts herself but wasn’t allowed, which explains everything about her attitude to magic, and her furious refusal to have anything to do with a world that won’t let her play. The dots are beginning to join up. It’s also pretty heartening in The Order of the Phoenix that Harry is answering back to the Dursleys more, standing up for himself more than he did as a younger, more ignorant boy. Then there is the revelation of Mrs Figg being a Squib, a secret observer in Harry’s neighbourhood about whom the Ministry know nothing. I love the Thestrals, invisible flying horses that only those who have seen death can see, and I really like Luna Lovegood, a character with real strength and purpose, and unbreakable self-esteem. So what is this novel about? As well as communication, it’s also about accepting responsibility. Umbridge grabbed all the responsibility she could find, and made a total mess of it. Most of the teachers have all the responsibility they need, and manage it perfectly well, because they restrict their activities to their natural and proper sphere. The most unexpected new responsibility Dumbledore has is to be Harry’s lawyer. It’s the effect of the Ministry: as soon as they dislike something, they pass a law, so Dumbledore needs to keep up with the changing regulations and be in the right place to defend Harry when he’d needed. It’s very important to have a good lawyer if you’re perpetually in trouble with the authorities. 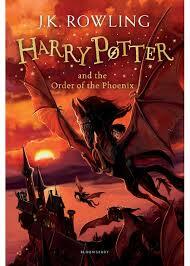 Harry is presented with vast responsibilities that he manages to cope with, some much more impressively than others. I really cannot be bothered with his infatuation with Cho, she’s in as much of an emotional mess as he is, so she was never going to be any good for him. He needs someone who will stand up to him reliably, not be a needy puddle of tears. Taking on the responsibility for training his friends in Defence against the Dark Arts is an excellent way to show how much Harry knows, what a good teacher he is, and how he can pass on the spells that his friends can work with. Teaching what he knows also calms the hotheads down, gives them something to use that will stop them feeling scared, and might make them feel effective. It’s a great confidence booster, but it is still a responsibility: the teacher has to acknowledge the mistakes he makes in class and has to live with their results. The more I see of these drippy pastel covers, the less I like them. Inappropriately light for the content. 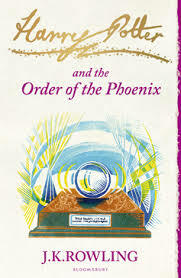 There is a great deal to enjoy in the Order of the Phoenix. Fred and George do some stupendously good magic, and there are many, many jokes to take you by surprise. There is a lot of satisfaction: Harry doing a quite good Potions exam, for instance, which shows how important bullying and vindictiveness are in preventing people learn, or perform. Fred and George’s gift of an indoor swamp to the school is very pleasing, and Hagrid’s expectation that Harry and Hermione will be able to teach a young giant English and look after his food and entertainment is so jaw-droppingly outrageous that it just makes you laugh – a perfectly timed release of tension in a very tense part of the novel. Apropos of the heroes’ reaction to this tearful request of Hagrid’s, and what Ron said about it later, I do think Rowling did an excellent job of keeping the dialogue slang-free, in all the novels. Almost none of the dialogue in these books has dated, over fifteen years later. Harry and Sirius’s joy at being together – when they’re not shouting at other people or each other – is rich and warm and very cockle-warming. It’s the father-son relationship neither of them ever had, which makes the novel doubly tragic when Sirius falls behind the curtain. The way Rowling writes about Harry’s grief, the blank wall of loss that won’t shift, and his fury and misery, are all perfectly true. Like seeing a Thestral, you know how well grief is written if you’ve already been bereaved. There is so much turbulence in this novel, so many emotions and screaming furious capital letters on so many pages: it’s a sign of the perfect control Rowling had over her writing, and over the development of the series, that she was able to manage the emotional temperature of this novel – the fifth one, two to go – so well as part of a series, as well as a novel in its own right. Her techniques are sometimes obvious, like the regular fuelling of the emotional temperature, and the narrative pattern of tension and release, and sometimes they are not obvious at all. It’s so interesting that she has no identifiable style, no look-at-me literary twirls and curtsies that will distinguish her writing from any other novelist in this line of work, because the bigger picture, the whole Harry Potter series, is what we remember, not how the story is told.